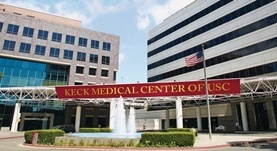 Dr. Ilya Lekht is a radiology specialist in Los Angeles, California and he works at several hospitals in the area, including USC Norris Cancer Hospital and Keck Medical Center of USC. He got his diploma from David Geffen School of Medicine at UCLA and did his residency in Radiology and Neurology/Diagnostic Radiology/Neuroradiology at Emory University. 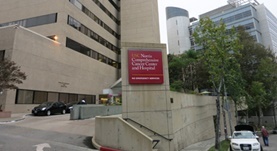 Dr. Ilya Lekht also completed a fellowship in Neuroradiology at UCLA Medical Center. The doctor is board certified in Diagnostic Radiology, Neuroradiology, Vascular & Interventional Radiology and has an experience of more than 20 years. Dr. Ilya Lekht has contributed to 1 publications. Role of contrast-enhanced ultrasound (CEUS) in evaluation of thermal ablation zone. Lekht, I.,Gulati, M.,Nayyar, M.,Katz, M. D.,Ter-Oganesyan, R.,Marx, M.,Cen, S. Y.,Grant, E.; Abdom Radiol (NY). 2016 Mar 13.